This plugin provides you with the ability to export your orders, customers, coupons and more from your WooCommerce store. Your plugin is delivered as a zip file. WordPress makes it easy to install the plugin from this zip file. You need to make a note of where you have saved your zip file to on your computer. If you are using the free plugin – please goto Plugins on your WordPress dashboard and deactivate it. Click the “Upload Plugin” button, then from the next page click the “Choose File” button and select the zip file that you saved. Selecting this menu option will bring up the main screen. Character Encoding: If you need some special character encodign you can select it here – if you are unsure just leave it as it is! Date Format: How do you want your dates formatted? 1. First select the type of export you would like. At the bottom of the fields you will find the Meta Data box. In this box you can add any data that might be stored in the meta table (wp_postmeta). A lot of plugins will store data here and by using this technique you can gather the appropriate data. You simply enter the meta name (i.e. meta_key) of the item you are interested in and the plugin will grab it from the “post_meta” table. Enter each item you want on a separate line. 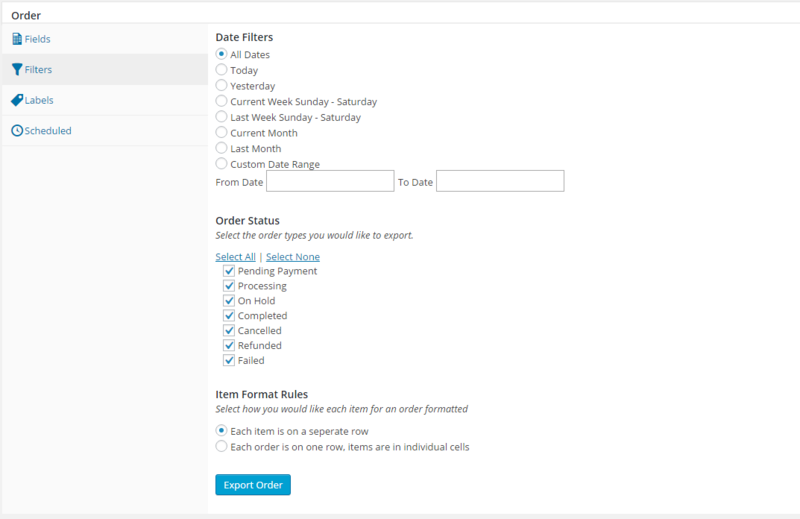 Meta field functionality exists for Products and Orders only. Click the “Filters” tab to see the filters that are available for the data type you are exporting. Each data type has it’s own set of filters. Here are the filters available for Orders for example. You can select the filter that makes sense for the data you are trying to export. The Labels tab allows you to change the column heading that is used for each data item. The defaults should be sufficient but if you need specific names then change them here – please remember to hit the “Save Changes” button. Your labels will be remembered and used when you next export this data type. Return to the Fields tab and hit the Export button. Your query will run and the results will available for you to download. One of the key features of the WooCommerce Order Export plugin is the ability to have exports automatically run and the results emailed to you or saved in your archive. From there you will be able to specify the frequency and timing of your export as well as set the filters. 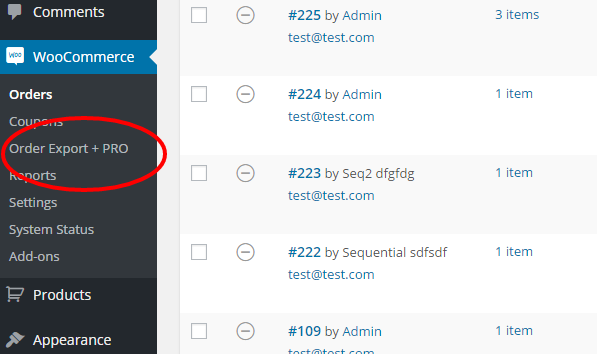 The automated export will use your default fields that you have set up for this datatype.